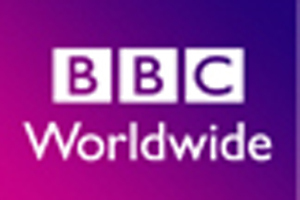 BBC Worldwide has expressed support for a new event industry marketing organisation being launched next year. The Association of Event Organisers, the Association of Event Venues and the Event Supplier and Services Association have teamed up to launch a marketing body to promote live events. The as-yet-unnamed organisation is set to launch in early 2010 to help businesses harness the power of live events, drive sales and revenue, enhance customer relationships and deliver customer insight. It will also to provide research, case studies and staff-training tips for businesses and event organisers. The organisation will be based in Hertfordshire and have ambassadors including Tarsus Group group managing director Doug Emslie, Upper Street Events managing director Paul Byrom, Earls Court & Olympia Group managing director Nigel Nathan and Reed Exhibitions chief executive Alastair Gornall. BBC Worldwide head of UK licensing Richard Hollis said: "The new marketing body will act as a gateway for brands and businesses to get the most out of live events. Brands come to life at events in a way that no other media can and this organisation will help explain this unique power to all brands out there, big and small." Emslie called the launch was "a positive step forward for the live events industry". He said: "The initiative should serve to further highlight the role of live events and lay the foundations for an even more successful future. Whilst many businesses and individuals already know what live events can do for them, the new body will get out there and engage to those yet to realise the medium's power." The name for the new body, its website and inaugural research project will be revealed when it launches.